NEOFECT is a company that focuses on developing and providing smart rehabilitation solution. NEOFECT became widely known for its smart glove when Korean President Moon Jae-in tried it on at the medical device exhibition hall in Seoul National University Bundang Hospital in July 2018, earning it the nickname “Moon Jae-in glove”. The RAPAEL Smart Glove that attracted media attention at the time is NEOFECT’s signature product. A patient can wear the glove, which is connected to a table through Bluetooth, and play games that help with rehabilitation. NEOFECT is a company that has been attracting attention in the United States, the largest medical device market in the world, but its journey has not been easy. After leaving the corporate world,CEO Ban founded his first startup company but failed. NEOFECT CEO Ban Hoyoung’s first idea for a startup was not medical devices. After leaving Samsung Electronics, he focused on IPTV services for his first startup. Ban wanted to try something new instead of simply being another cog in the corporate business wheel. He left Samsung Electronics and started his own business with a partner in Los Angeles, United States. Unfortunately, two years later, the business remained unsustainable. Ban said that his first business was a difficult but important experience. He explains that one of the most important things in a startup is experience. He emphasizes that having experience with launching or working in a startup is necessary to reduce trial and error. 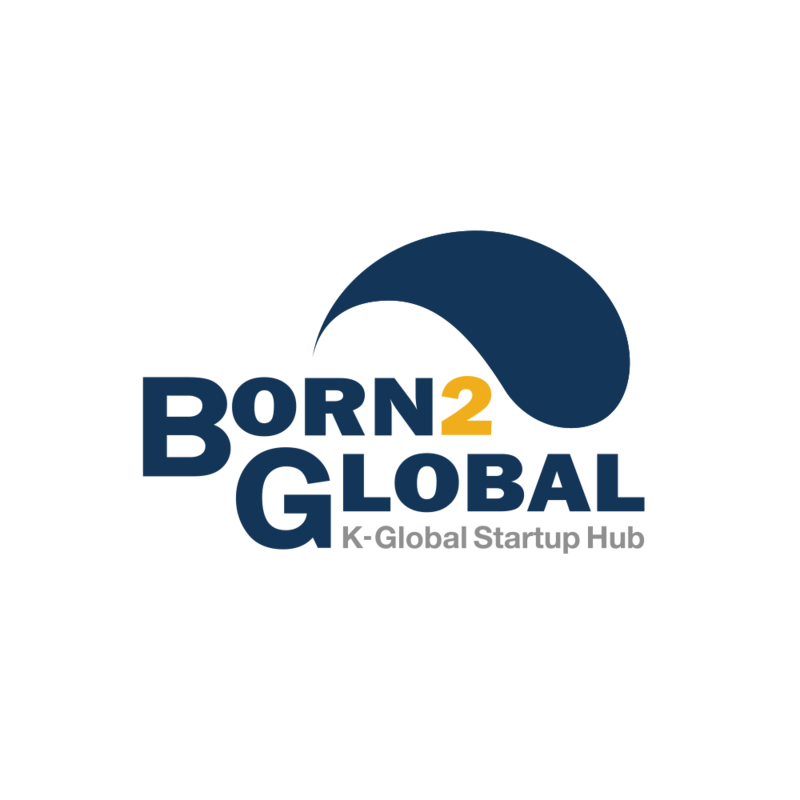 Afterward, Ban earned an MBA in the United States and met Choi Yong-Geun, also a KAIST alumnus and currently the CTO of NEOFECT. At the time, Choi was working on his Ph.D. in the United States for research on stroke rehabilitation, algorithms, and robotics. It was Choi who first suggested a medical device startup to Ban. Ban recognized the importance ofrehabilitation services from personal experience. In college, NEOFECT CEO Ban lost both his father and an uncle to stroke. Seeing the effects on the elderly members of his family, he became keenly aware of the need for low-cost products and services that help with sustainable stroke rehabilitation. This was a decisive factor in Ban launching another startup in 2010. Seeing the size of the American market, Ban decided that he should prioritize launching his business in the United States. After four and a half years of development, he was able to open an office there in America in October 2015 and in Germany in October 2016. NEOFECT aims to become the No. 1 rehabilitation platform in the world. 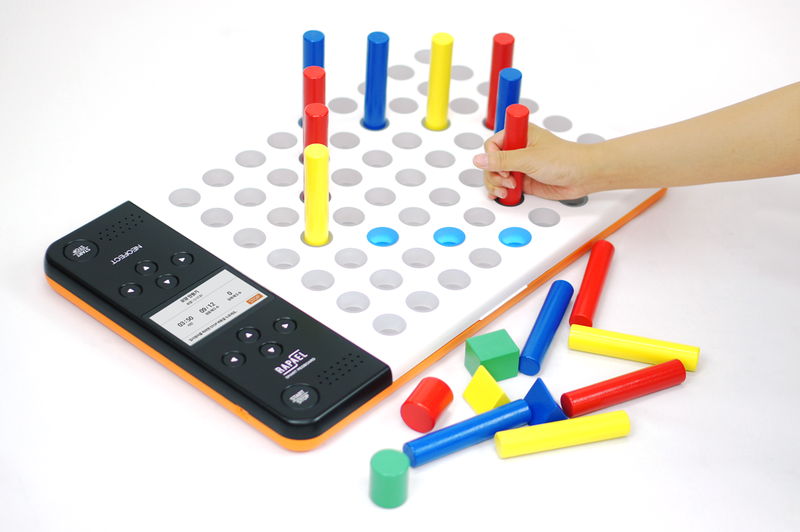 The company has a strong lineup of products as well, including RAPAEL Smart Glove, RAPAEL Smart Kids, RAPAEL Smart Board, RAPAEL Smart Pegboard, and RAPAEL ComCog. Existing analog devices have been digitalized, and related game content helps patients suffering from stroke to focus on and have fun in their rehabilitation programs. NEOFECT pursues more than simple fun. Data from patients in rehabilitation are collected on the platform and analyzed by AI, which recommends different rehabilitative games for the next day. NEOFECT is the first company in the world to provide comprehensive rehabilitation programs that are customized for each user. 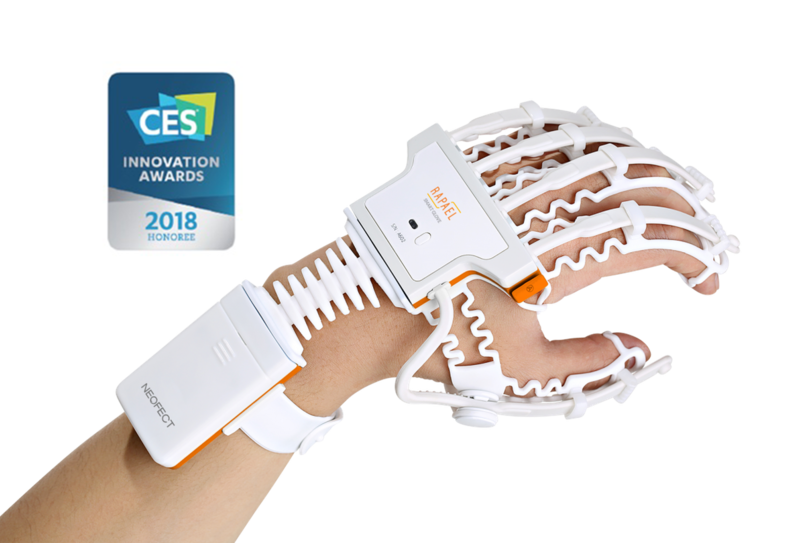 NEOFECT has succeeded in selling its smart gloves to rehabilitation hospitals around the world. They have also been approved by the U.S. Department of Veterans Affairs, which supports rehabilitation programs for veterans. NEOFECT has also published a number of papers on the effects of its rehabilitation programs. Based on these achievements, NEOFECT received an Innovation Award at the CES in 2018, the largest consumer technology show in the world, for the second consecutive year. Its products stood out from those made by large conglomerates and have also attracted the attention of foreign media outlets, including CNN, CNET, and ZDNet.